Last week I was in Melbourne (for a mix of work and pleasure), which, in short, consisted of me packing as much as I could fit into both my stomach and schedule. This included visiting hatted restaurants, sampling some of Melbourne's finest coffees, and checking out the vibrant cafe scene. I will start my Melbourne gastronomic tales with everyone's favourite sweet treat, macarons from La Belle Miette. La Belle Miette is a small patisserie that specialises in maracons and is widely considered to be Melbourne's best macarons. There are 4 stores in Melbourne, but we visited the original store in Hardware Lane. For me, the macarons at La Belle Miette tick all the boxes for what I would like to see in a good macaron. The macarons here are not only the best in Melbourne, but rank amongst the best I have had in Australia. Having been to Paris in October this year, La Belle Miette compares favourably to what you can find in Paris. The only place in Paris that I have been to that definitively make better macarons than La Belle Miette macarons is Pierre Herme. Firstly, the price is very reasonable at $2.50 a pop. The good places in Sydney (i.e. MakMak, La Renaissance and Cre Asion) price their macarons at around $2.70 - $3.00 each, so macarons at La Belle Miette are certainly great value for a top quality product. 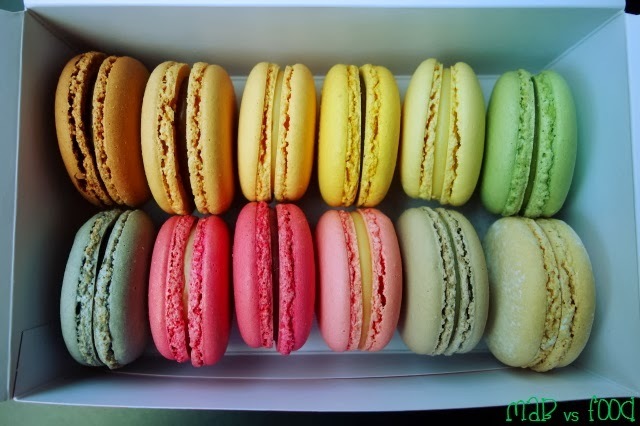 Secondly, the appearance of the macarons are amazing. The macaron shells are bright and glossy. And each shell is the same size and shape. Thirdly, the texture of the macarons were just brilliant (perhaps with the exception of the salted caramel macaron, which I found to be a bit chewy for my liking). The macaron shells had a nice, crispy exterior and the inside was soft, moist and slightly chewy with a smooth creamy ganache filling that was bursting with flavour. Simply to die for! And most importantly, the flavours were spot on. The flavours at La Belle Miette are classical, so they were all pleasant and nothing was too weird. Everything tasted exactly like they were supposed to and not artificial (e.g. passionfruit tasted exactly like the actual fruit). And none of the flavours were overly sweet, which is a problem I often have with other macarons. For the record, my favourite flavours were passionfruit chocolate, 72% cocoa single origin chocolate and raspberry. My wife's favourite flavours were rose, French gingerbread and Earl Grey chocolate. We both agreed that the scone & jam and lavender were a bit subtle and not flavours that were to our liking. 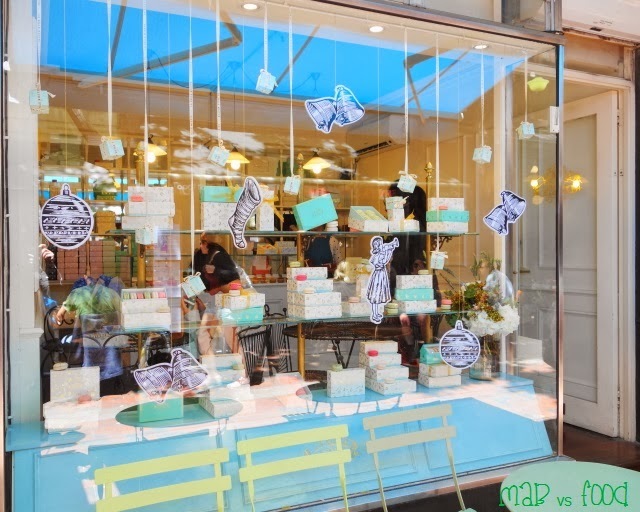 Really you can't go wrong with whichever flavours you decide to choose at La Belle Miette. Simply put, this is the place to be for awesome macarons in Melbourne!